WIT has great experience working on Interreg funded projects in a wide variety of areas such as sensor technologies for monitoring aquatic life to energy systems for the fish industry to enhancing business effectiveness and improving employment and education opportunities. Waterford Institute of Technology is currently participating in 2 Interreg projects, funded by the European Regional Development Fund through the Ireland-Wales Programme 2014-2020. Click on one of the projects below for more details. This Smart Cluster Energy System (piSCES) project supported by the European Regional Development Fund through the Ireland Wales Cooperation programme will investigate how smart grid technologies will ultimately reduce the costs and carbon footprint of Energy Networks in the fish processing industry. Waterford Institute of Technology are the lead the project through its ICT research division TSSG and Cardiff University (CU) plan to research, design and develop microgrid networks in conjunction with production centres in Ireland and in Wales. The implementation partners, Bord Iascaigh Mhara (BIM) in Ireland and the Milford Haven Port Authority (MHPA) in Wales, will work with fish processors and related industry to provide live data and test sites. Projects and case studies - Collaborate with HEIs to research a green business development opportunity and share experience and best practice through green business case studies. The Wales Ireland Network for Innovative Photovoltaic Technologies (WIN-IPT) is an industry-informed initiative, designed to promote the development of innovation and enhance business opportunities for SMEs working in the area of Photovoltaic (PV) technologies. The PV sector is growing rapidly, with annual growth rates exceeding 25% seen in the EU. However, with weak Research and Technical Development Infrastructure bases, the PV market is 1/200th of the EU average in Ireland and 1/20th in Wales. The development of a network of expertise to provide research-informed knowledge, in addition to laboratory and manufacturing support, is required to bring the cross-border PV market into line with EU norms. In addition the network will monitor the performance of existing PV electricity generators and investigate the potential for further exploitation of solar energy in the cross-border region. WIN-IPT actions will result in a better informed industry, with greater confidence for investing in PV and low carbon technologies. This 3-year programme (2012 – 2014) has been part-funded by the European Regional Development Fund (ERDF) through the Wales Ireland Programme 2007-13 (http://www.irelandwales.ie). Waterford Institute of Technology is one of 11 partners in the KTFORCE project which launched in 2012 and involves organisations from 6 European regions. Partners include the University of Porto (lead partner) and the Innovation Agency from Portugal; Waterford Institute of Technology and the South-East Regional Authority from Ireland; the National Institute of Research and Development for Mechatronics and the Executive Agency for Higher Education, Research, Development and Innovation Funding from Romania; University Joseph Fournier Grenoble and the City of Grenoble from France; the Centre of Technology Structure Development and the Aufbauwerk Region Leipzig from Germany and the Sunrise Valley development organisation from Lithuania. 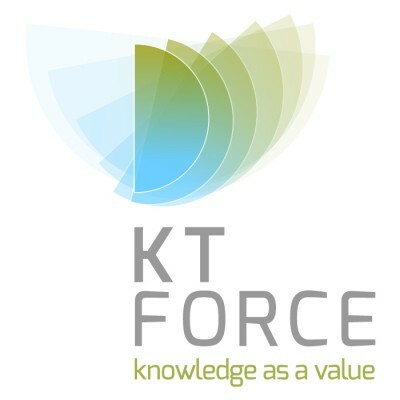 The main objective of KTForce project is to improve the effectiveness of innovation policies, specifically in the field of Knowledge Transfer (KT) and to contribute to the economic enhancement and increased competitiveness of the partners’ regions. KTForce will benchmark innovation polices and knowledge transfer practices and deliver a set of strategic recommendations for the design of future innovation policies and the implementation of knowledge transfer practices within EU regional economies. KTForce will examine how existing policies are influencing knowledge transfer in the KTForce regions and will identify new policies that need to be developed to meet the challenges of increased regional/national competitiveness.